That means every workout...every meal...every rep in every set is laser-focused on using exercise science to turn any run-of-the-mill body into a state-of-the-art physique. And Body Beast works for women just as well as it does for men. And Check Out These 2 Extra Bonus Gifts! 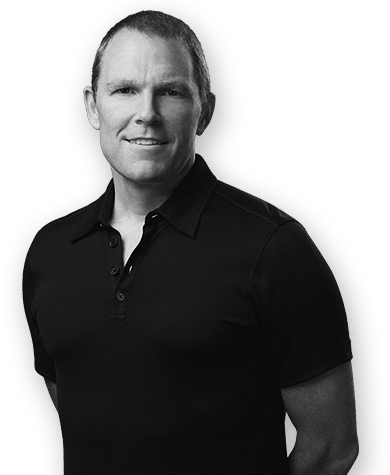 Bonus gift #2: Enjoy FREE access to 24/7 online support, advice from fitness experts, plus tips from Sagi himself. Take your transformation to the next level! 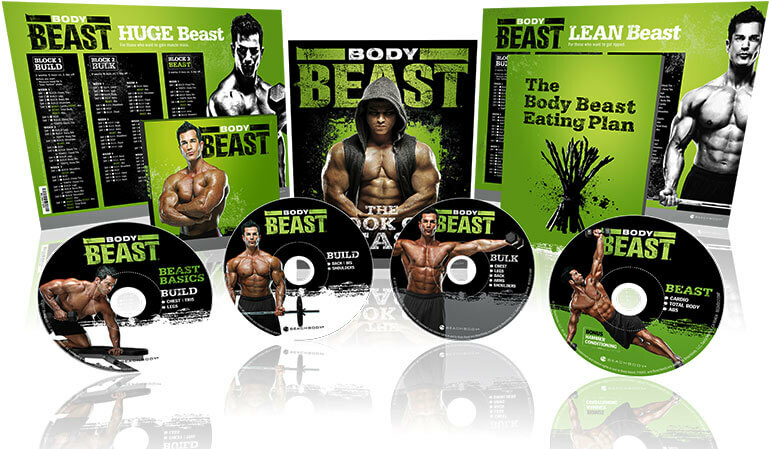 The Body Beast Deluxe Kit includes everything from the Base Kit: 11 Dynamic Set Training workouts, powerful Support Tools, and 3 BONUS Gifts including a FREE Total Body workout. PLUS 2 FREE WORKOUTS! 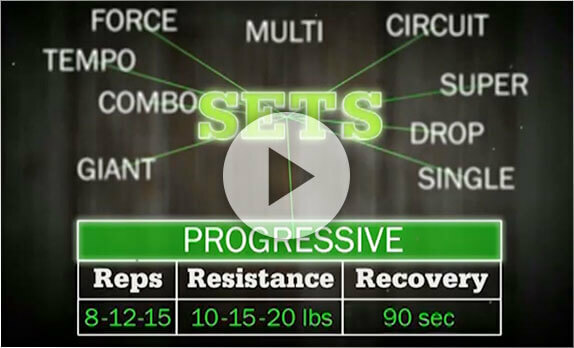 Tempo Chest/Tris and Tempo Back/Bis, which help define your upper body at lightning speed. 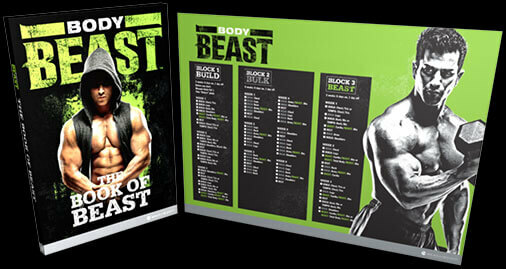 Get the Body Beast Deluxe Kit now. Best of all, starting in 30 days, Sagi has arranged for you to automatically receive a fresh 90-day supply of Energize every 3 months for $49.95 per month plus $4 Super Discount shipping per shipment on the credit card you provide today. If you don't want any more after your 30-day supply, no obligation—cancel anytime to avoid future charges by calling 1 (800) 928-8078 to let us know. 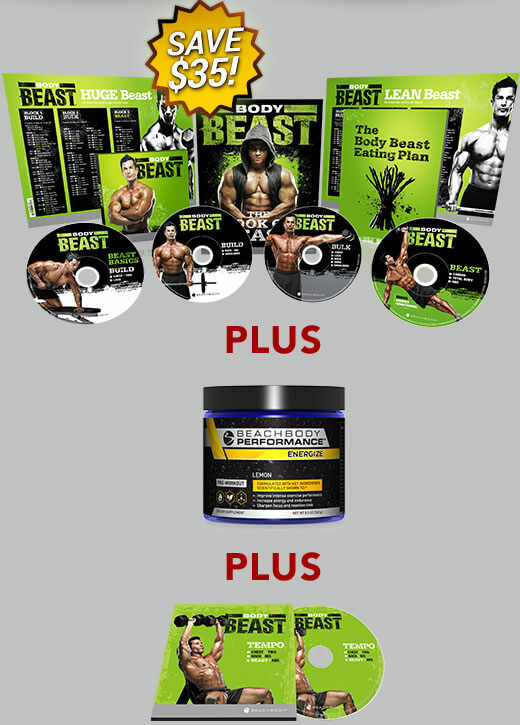 The professional way to get completely ripped and chiseled in 90 days. 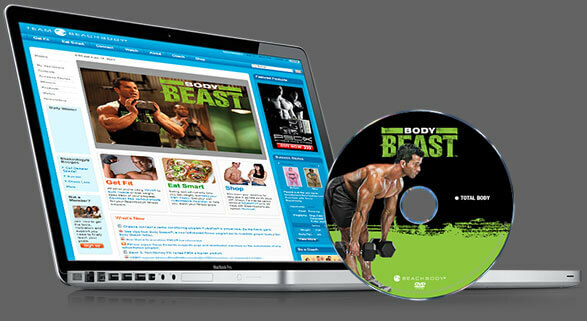 Build a body that turns heads with this revolutionary all-in-one weight-training, nutrition, and supplement system. Created by world-class trainer and former Mr. Israel, Sagi Kalev, Body Beast has cracked the code for how to dial in the lean, chiseled physique you want—GUARANTEED, or your money back (less s&h). 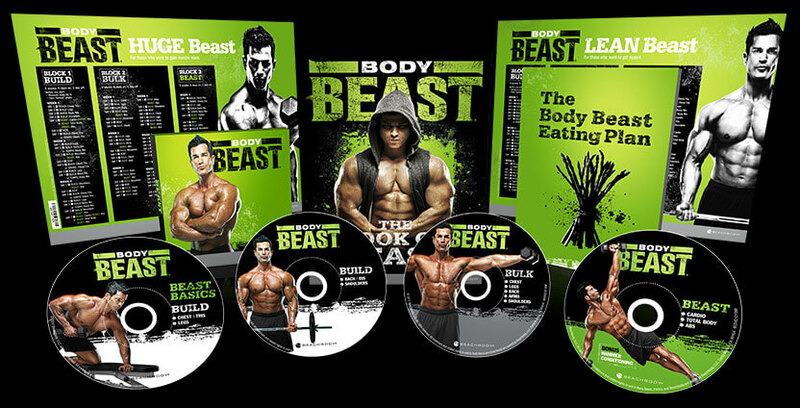 Send me the complete Body Beast program, including my FREE gifts, while the price is 2 easy payments of only $19.95 (plus s&h). I understand that Body Beast comes with a 90-day Money-Back Guarantee, less s&h. Results vary depending on starting point and effort. 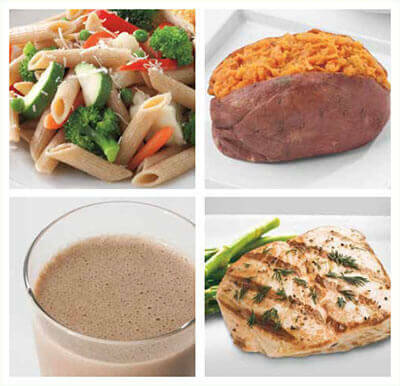 Exercise and proper diet are necessary to achieve and maintain weight loss and muscle definition. © 2017 Beachbody, LLC. All rights reserved. 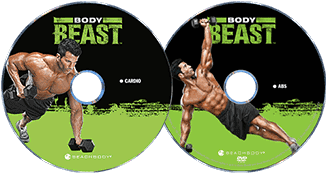 Beachbody, LLC is the owner of the Body Beast, Beachbody, and Team Beachbody trademarks, and all related designs, trademarks, copyrights, and other intellectual property. All other trademarks are the property of their respective owners.